I have a big confession to make. When I went to Florida, I had a wonderful time, but I kept my eyes open everywhere we went…you know…just in case he popped up somewhere and asked me to marry him…you know…randomly. A girl needs to be prepared at all times. Sadly, it didn’t happen. Maybe next time. Or, I could just to go back to my Scotish Farmer fantasy. *Remember to comment on my blog posts during the month of February to be entered in to win! 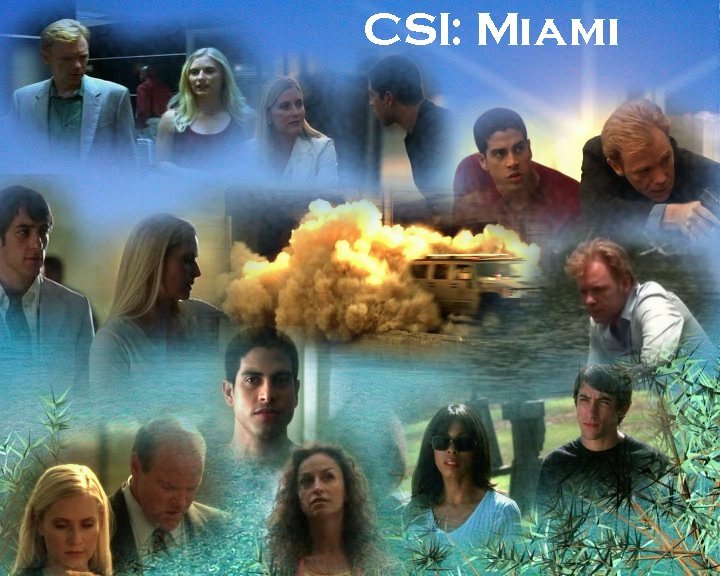 Bahahaha I love that you love CSI Miami…it’s brilliant! I’ve never watched CSI Miami. But when I was a little girl I had a wild obsession over “Zack” on “Saved by the Bell.” That’s kind of embarrassing to admit…. I’ve never watched CSI… I know that if I do, there will be one more show that I absolutely love… and that’s scary. Right now I already am in love with the shows Bones, Psych, Charmed (I own 7 of the 8 seasons), Golden Girls, Full House, Wife Swap, Nanny 911… oh the list goes on. And the saddest part, my husband hates TV. Good luck with finding that perfect scotish farmer… It will come someday. I believe! You know…YOU don’t have to hate it just because your dad does. Honestly, that’s just silly. Yes…I was really going out on a limb to tell the whole world such a thing. My kids loved that one too. But alas…I have to go for the older men. It’s fabulous. I have all the seasons, if you ever want to watch it. Lyndi and Nate used to watch it and I only ever saw bits and pieces because I’m not much of a TV fan either. 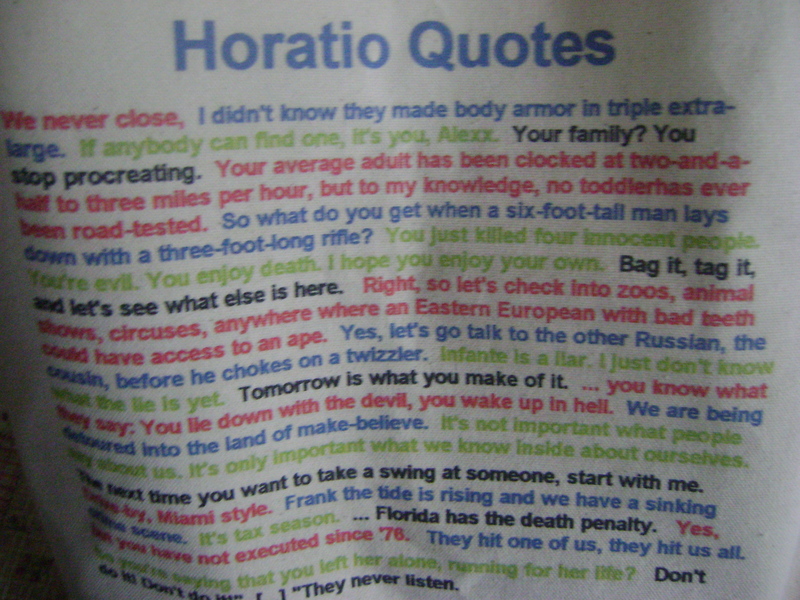 But then, I started asking what was going on and it turned out to be really interesting–the whole crime solving stuff. They usually know when to tell me when to shut my eyes–in case it gets grizzly or something. I’m still a bit wimpy about some of it. Aside from football and the occasional food show–this is really all I watch on purpose. it fabulous though! I am a TV junkie so I have obsessions with too many shows! Ha ha ha… I love it! 🙂 It’s fun to watch with you because you enjoy it so much! I’m not usually a fan of tv, but I’ve been sucked in a bit too! im not afraid to admit that i am a tv junkie. some months during the year, i have a show on every night. I wish that I had the time to have a fix on more TV shows. Maybe some day when this season of mommyhood has passed. But for now I will enjoy every minute of it and some day be able to actually sit for an entire show and have to be there to watch it every week. augh! …are not the only one.